I've been married to my lovely wife Paula for 30 years, and we've raised three amazing children (thanks Kamloops). I grew up in Burnaby and eventually got together with Paula. Over the years we lived in the West End of Vancouver, Kitsilano, Pitt Meadows and New Westminster. My family and I moved to Kamloops in 1994. For years as a kid I travelled through Kamloops with my brothers and sister on the way to Shuswap lake where our family always vacationed. We never ever thought of moving to Kamloops... it was just a place we drove thru as fast as we could with the car windows rolled down because it was so hot. I taught music for over 15 years at my own music store Brown's Music in Vancouver, and was very active in the home computer hobbyist arena. When it became apparent that musical synthesizers were going merge with computers thru an electronic interface called MIDI, I moved Brown's Music across the street and started Datatune Computer and Music centres. I had some great employees who have since gone on to become giants in the gaming industry and computer industries. Eventually I had an opportunity to work directly in the computer industry for some pretty large corporations including Atari (Canada) Corp. (Western Canadian Sales Mngr and Director of Canadian Music Markets), Commodore Business Machines (consultant for music industry), Master Solutions Software (VP Marketing). In the late 80s after the computer industry faltered several times and I was 'ping-ponged' around by companies I decided I wanted a change. I had always wanted to 'get into' real estate and I took the giant step! My other hobbies still include music (I still enjoy performing) and I still enjoy the computer side of things, creating websites and producing hobbyist internet videos. Paula and I enjoy hiking, lifting weights and cycling. If you're planning to move to Kamloops and you enjoy fitness you have to let me introduce you the Tournament Capital Centre at Thompson River's University. I provide top quality service, every day to every client. You can rely on my service. Whether your a home seller or a home buyer. 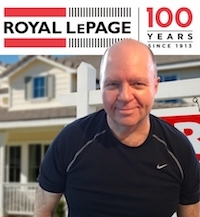 I've helped hundreds and hundreds of people over the past 20 years buy and sell real estate, and my past clients many who have become great friends continue to call me for assistance when ever they need my services.